Meetings by the WNIT Board of Directors are open to the public and listed in Eastern Standard Time. 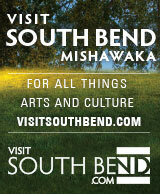 Unless otherwise stated, meetings will take place at 300 W. Jefferson Blvd., South Bend, Indiana 46601. Some components of the meeting may be closed to the public. Meetings are open to the public and held, unless otherwise noted, at the WNIT Center for Public Media, 300 W. Jefferson Blvd., South Bend, IN. Monday, February 18, 2019 9:00 a.m.
Monday, May 20, 2019 9:00 a.m.
Monday, September 9, 2019 9:00 a.m.
Monday, November 18, 2019 9:00 a.m.